There’s always that raw, unrefined beauty in the ignored. The untainted mannerisms and personalities the lonely one exudes are free from the stains of societal expectations . They express themselves freely without restraint, they aren’t afraid to change to seek more attention, and they aren’t disturbed to morph into another being that only impresses others and not themselves. In short, they don’t try hard and they stick to their own thing. This week, its all about getting inspiration from the unnoticed members of some media forms who are either overshadowed by the best friend or overlooked and misrepresented by the conflict she‘s in. We look past their shortcomings and magnify their best assets as bearers of the title of this week’s most fashionable fictional characters! Sam Shakusky and Suzy Bishop are the craziest, most insanely fancy introverts, and rather tasteful rebels of New England. Sam, despite being dressed similarly as his camp peers, glows in his smart scout uniform while Suzy dresses up in shift dresses that are reminiscent of the 1960s yeye singers. Love truly knows no bounds when they attempted to escape their bland homes in order to spend time together in their sphere of paradise. 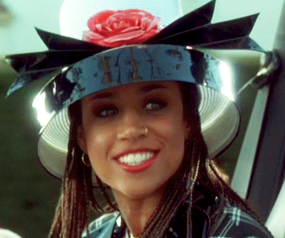 Dionne Davenport, Cher Horowitz’ most fabulous best friend, is the trendiest, most creative person in Clueless. Stacy’s ability to create unconventional interpretations of her wardrobe is actually a fresh break from strict, and rigid vibe of high school halls. 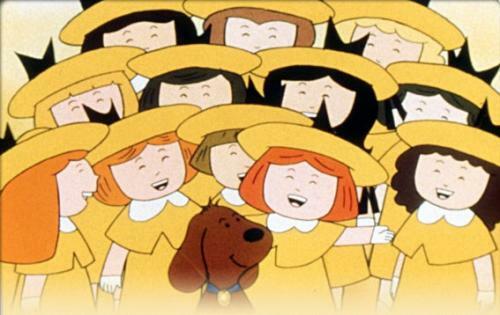 Moreover, didn’t we all love her quirky hats and weirdly textured tops and skirts? Wish we all could have been as fabulous as her in high school. Greta (as played by Kiera Knightley) is a song writer who is struggling to stand on her feet after being recently dumped by her boyfriend Dave Kohl (the bearded Adam Levine). Greta wore hipster dresses with black or brown weaved belts, (if that’s what you call them). 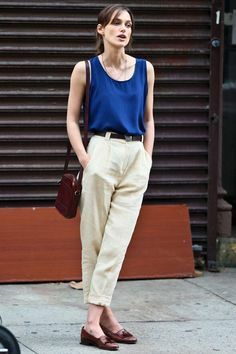 She would also usually wear trousers and loafers with a brown sling bag. Very picnic by the riverside appropriate, really. A+++ for Begin Again’s styling team, for creating such fashionable collaboration of outfits on Greta. I was never a fan of arcade games, but man Love and Berry is such a revolutionary game. This card-collecting game features 14 year olds Love and Berry as girls who have the capability of changing their clothes instantly before doing this adorable dance routine in front of an audience. The Love and Berry wardrobe consists of vast styles of clothing, including street wear, casual wear, and ball gowns. I could have sworn I had the “Love and Berry syndrome” which was quite close to a shopaholic’s desire to live in their favorite shopping mall. The 12 year old inside of me never wanted to leave that shining pink card dispenser and I somehow wished that some form of teleportation device could bring me to their world and dance un- awkwardly as they can. In this edition, Veronica wins the battle between the better Archie leading lady (sorry Betty!) Why? Veronica has this quality of captivity allure that draws every girl to channel a sort of glamorous night girl in a high school setting. Veronica has this bold character that flatters her body by wearing knee high boots as paired with a short yellow belted dress that shouts 70’s or maybe this Mary Poppins inspired outfit but instead of donning this massive long skirt she wears khaki pants! Her wits and intelligence is amusing, especially when she outsmarts her dad by buying clothes when she really isn’t supposed to. Veronica would seem to be a spoiled brat to anyone but to me, she’s this empowered woman who continually tries to prove that being fashionable means more than just being able to buy fads. Born in the year 1891 (at least according to her wiki page), Lady Mary Crawley is the eldest daughter of Robert Crawely and Cora Crawley. Mary is determined to show that women can do anything – and that includes taking part in what men do. Fashion-wise, sheer sleeved dresses and collard tops are Mary’s staple garments. Personality-wise, she has strong-willed attitude opinions that takes her places – so never mess with her. Bryce Loski wore cool plaids and bomber jackets even before they became a fad this year. Along with that, he did not only steal the heart of Juli Baker, but also of those million other girls who cried after watching his story (including me). Bryce knows how to wear his clothes with his signature smile and there’s no wonder why Juli has been fawning over him since 2nd grade. Another tip from Bryce: if you love a woman, plant her a tree.